Sponsorships can increase the number of visitors to your booth by as much as 50%. 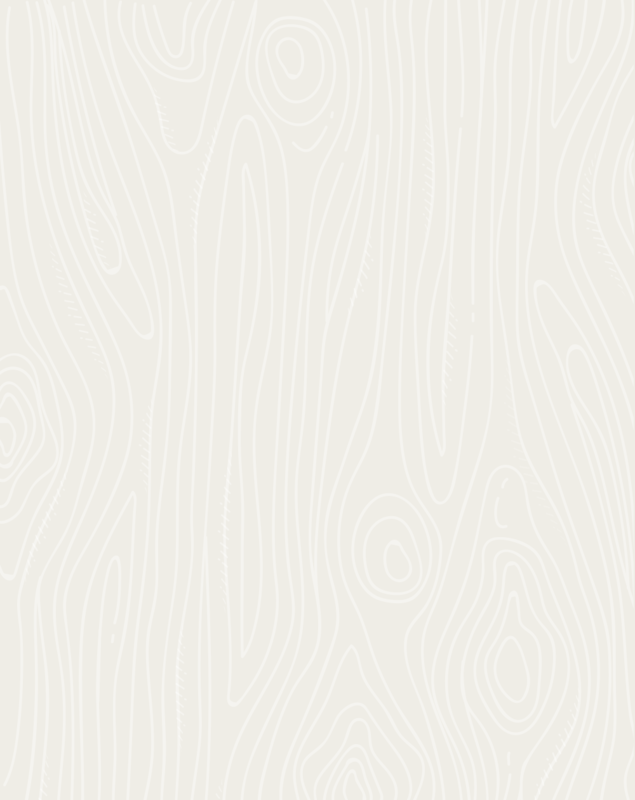 Get reach beyond the event and elevated status to thousands of mass timber professionals from around the world. Please contact us for pricing and other information regarding Premium and Mid-Range Sponsorships. Reserve any of the Budget sponsorship opportunities through our registration form. Look for the “Sponsorship & Additional Items” box on the registration form after you select your attendee pass(es) and exhibit space(s). Or you may contact us to receive an invoice. The Premier Sponsor Package offers top-tier benefits to powerfully leverage your company’s participation at the event. NOTE: If you prefer to speak to someone in person, contact Arnie Didier at (406) 544-1552. Sponsor the 20’x40′ (6 meter x 12.2 meter) lounge and enjoy a dominant presence in the middle of the Exhibit Hall, the central hub for exhibitors, dining, and business- and connection-building at the conference. Attendees eat and network in the lounge throughout the day. The lounge is carpeted (aisles and all other general areas are not carpeted) and includes leather furniture, a charging coffee table, bistro tables with chairs, and a tall charging table with counter height stools. Be the exclusive sponsor of the conference’s first-ever, hard-walled private meeting spaces in the exhibit hall. The meeting spaces should prove to be very popular and right in the middle of the exhibit hall between the exhibits and the dining area, ensuring that your sponsored area gets maximum exposure. Have your company logo show exclusively on attendee name badge lanyards. Be seen by every attendee, all day long, over the entire event. The lanyards are included in the cost of the sponsorship. Your company can be the exclusive sponsor of the coffee cups used by attendees throughout the event. The coffee cups are included in the cost of the sponsorship. Your corporate logo can be the exclusive logo on the event bags. Every attendee receives a bag. The bags are included in the cost of the sponsorship. Benefit as the sole advertiser on the back cover of the event program and be seen by virtually every attendee. Be the exclusive sponsor of the event break/cocktail napkins. 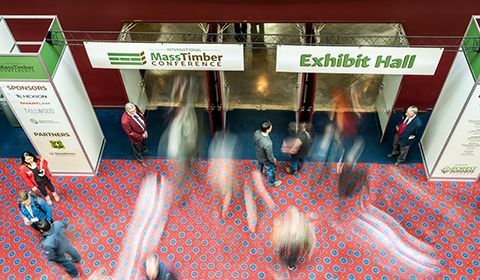 Become a sponsor of Tour #1: Portland Buildings (March 19, 2019) and receive benefits throughout the Mass Timber Conference. The Tours are a highly anticipated portion of the conference and the approx. 112 attendees will value your support of this all-day event. Learn more about the tours. Become a sponsor of Tour #2: Mid-State (March 19, 2019) and receive benefits throughout the Mass Timber Conference. The Tours are a highly anticipated portion of the conference and the approx. 112 attendees will value your support of this all-day event. Learn more about the tours. Become a sponsor of Tour #3: Western Washington (March 19, 2019) and shine a spotlight on the approx. 56 attendees who will value your support of this all-day event. Learn more about the tours. Be a core part of the lunch experience for the global audience at the conference. The popular ending General Session panel at the end of the day on Thursday brings together top mass timber minds for an informal “fireside chat” on the industry’s pressing issues and top questions. Help attendees kick off the day with a full, delicious breakfast and your brand top-of-mind. Be the sole advertiser inside the event program, read by most attendees. Use this unique opportunity for brand exposure, calls to action, sending traffic to your booth, advertising new products and services, and more. Shine a light on your brand as a sponsor of the student poster display. Sponsor the popular baggage and coat check area and receive prominent exposure in the exhibit hall and on all check tags. Attract the attention of attendees from high-traffic areas around the event with your custom messaging and graphics. Brand exposure, calls to action, sending traffic to your booth – all are possible with these powerful banners. The sponsor will own graphic, stand, and other hardware and can take it with them at the end of the event. NOTE: Receive $150 off each banner when you purchase more than one. You can order this directly off the registration form and it will automatically apply the discount. If questions, contact Tom Waddell at (406) 546-5977 or use our contact form (link in the footer). Get information about your company into the hands of every single attendee at the event. Let your company logo and marketing message dominate the top of two (2) of our event e-blasts.